So, way back in mid-summer or so, Memebox actually launched the primera brand at their shop and I was thrilled to see them there. It wasn’t a whole line of products, but enough that I picked up some nice items ~ you can read my full unboxing here. Alas, Memebox’s primera selection has dwindled to practicality nothing, which is sad, as this Amore Pacific subsidiary has an absolutely wonderful line of products. 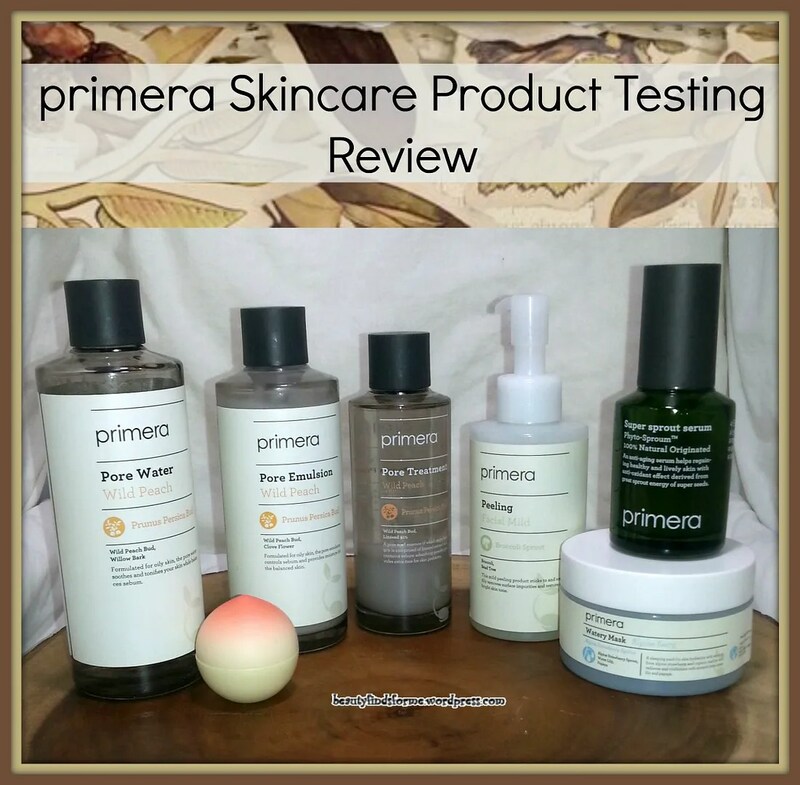 I view primera as a step up from Innisfree, as they are a bit more pricey. Combining the words “prime” and “era,” Korean skincare label primera is an eco-oriented cosmetic brand that collects and delivers the energy released from plants directly to the skin. primera’s environment-conscious values ensure that all its products do not contain parabens, synthetic pigments, artificial fragrances and only a minimum amount of artificial chemical ingredients. The products are packaged in mostly FSC-certified paper and printed with natural soy ink as part of the brand’s earth-friendly practices. primera belongs to the Amore Pacific group of brands alongside Laniege, Innisfree, Etude House and others. During the moment of germination, plant seeds are enriched with stupendous energy and nutrients. For decades, primera has been conducting extensive research on germinating process, in order to formulate highly effective cosmetics with potency of sprouting seeds; in doing so, primera continues to advance research and make new discoveries. This month’s issue focuses on the riveting tale of birds that selectively feed on sprout seeds and travel an unbelievable distance. Clearly, nature understands the power and efficacy of sprout energy. Germination, the ultimate moment for plants! In due time, plants compress its nutrients—ranging from minerals, vitamins, enzymes, proteins, and other essential nutrients required for growth—and store them in the seed buds until the seeds mature and grow, triggering the activities of ingredients. During this process, the concentration of certain nutrients multiplies drastically; vitamin C composition, in particular, is the highest among them all. During the climactic moment of germination, the seeds that just sprouted hold and release an unbelievable amount of life energy and nutrients. Such seeds are sometimes called the “green treasure chest of the skin” due to their high concentration of vitamins, fibers, amino acids, and antioxidants, that are beneficial for skin. 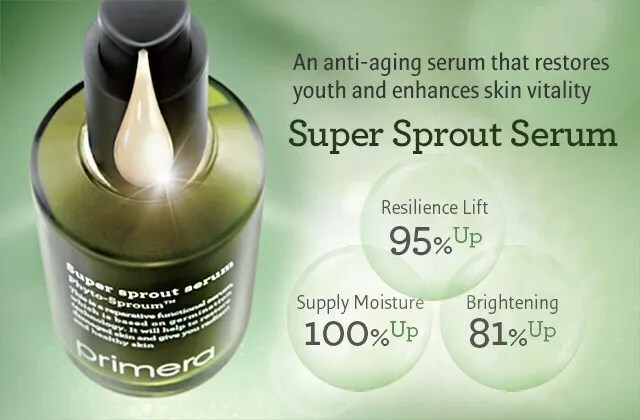 Through many years of research and experience on eco-friendly, natural ingredients, in addition to a basis on sprout technology, primera has become fully confident that sprout energy in cosmetic application will work. 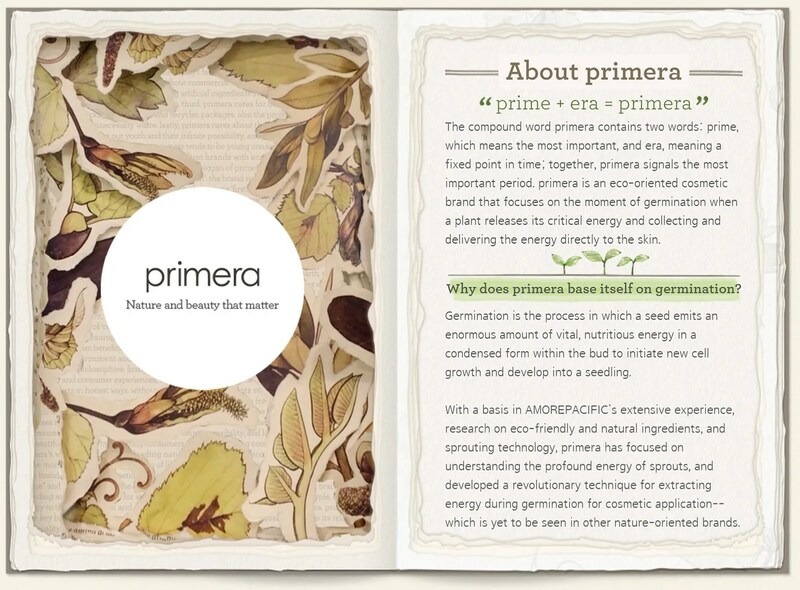 Highlighting the important moment of germination and energy collected in the process, the newly created cosmetic products are labeled “primera,” a compound word containing two words: prime—which means the most important—and era—meaning a fixed point in time. I used the following items for the last 6 weeks**, and I barely made a dent in this items! They might be more expensive, but they last a long time. These were not the only new items, I also introduced Chica Y Chico about 2 weeks into the routine. I will have a full review of those products in a couple of weeks. 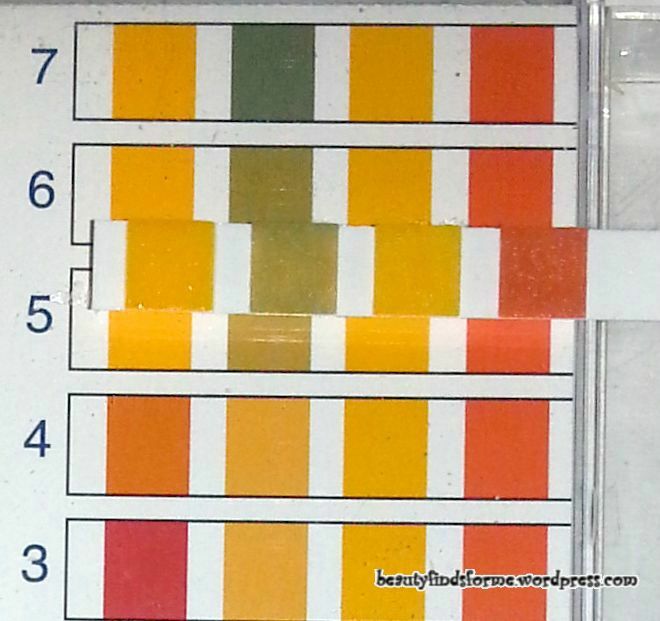 Testing: pH levels on watery and cleansing items :: digital skin analyzer on moisturizers and cleansers. For the digital skin analyzer, I would just use that product alone on my skin to get a reading just for that item. I put the initials of the product next to the ingredient. If an ingredient is only in one of the products used here, it will be in its own product section. Beta-Glucan (WPPE, ABWM) Beta-Gluten is a compound that can be found yeast, mushrooms, fungi and oats, among others. It is an antioxidant, as well as an anti-inflammatory. Although it has a large molecular structure, it can penetrate deeply into your skins epidermal and dermis layers, and can reduce wrinkle and fine lines, along with smoothing your skins texture. (study) Beta Glucan can help speed up wound healing and reduce scarring as well. Broccoli Sprout (ABWM, MFPC) is a superfood and it not only contains antioxidants like beta-carotene and Vitamin C, it also has Vitamin B complex, Vitamin E ~ which creates radiant skin and shiny hair as it revives skin tissue, Vitamin A and K, Omega 3 Fatty Acids, Amino Acids and Folic Acid (Vitamin B9). All of these vitamins help care for your skin and keep it glowing and healthy. Broccoli also contains glucoraphanin, a phytonutrient, which has been reported in reversing sun damage on your skin. Natto Gum (WPPP, WPPE, ABWM) derived from fermented soybeans; a potent antioxidant which will help reverse skin damage, such as hyper-pigmentation, caused by free radicals. Black Rice Sprouts These help regulate the production of melanin and will lighten hyper-pigmentation. Black rice not only is moisturizing, but has vitamins B1, B2, E, minerals, iron, amino acids, lysine, proteins plus other nutrients that will nourish your skin. It will also stimulate your skin cellular production so your skin cells will turn over and renew to help with anti-aging. Black Soybean Sprouts Glycitein, a powerful anti-oxidant, is found in this ingredient. This compound will help combat free radicals and reverse the damage caused by them, they also are highly moisturizing and will help increase blood flow and help flush out toxins, revealing a healthier, softer and clearer skin. Black Sesame will help build, strengthen and protect your epidermis’ protective barrier by attracting moisture into your skin. It will help calm and smooth your skin, helping it return to a healthy state. Sequoia Sprout (WPPP, WPPE) This sprout is from the Sequoia tree, which are known for their longevity and are one of the oldest, largest living trees on earth. Their sprouts are reported to regulate energy metabolism, boosts vitality and help deliver nutrients to your skin , according to Primera. I cannot find anything except that as a supplement, it helps with the physical and psychological energy levels among the elderly. So, maybe this will energize my skin!! Wild Peach Bud (WPPP, WPPT, WPPE) Peach bud sprout helps strengthen and improve your skins resilience as well as stimulating blood circulation, smoothing your skin, helping alleviate skin problems, such as blemishes. 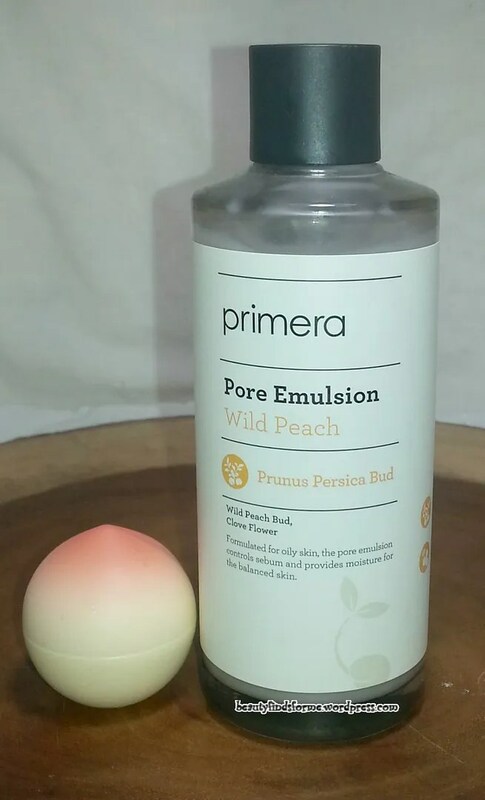 Peach Bud is a natural astringent and will help with moisture-emollient balance in your skin with a matte effect. They contain vitamin C, which is an anti-oxidant and will help defend your skin from free radicals and infections. Peach contain a vast number of flavonoids, vitamins and minerals, which will help remove dead skin cells, hydrate and brighten your skin. Primera products are in nice, classy looking bottles and jars and many of them are made from glass. Primera encourages their customers to reuse their containers ~ grow plants in them, DIY candles or in the case of my taller bottles, I could use them for room oils ~ place a room oil in the bottle and then place a few of those sticks in them. The problem with the taller glass bottles in my small bathroom, however, is that they do take up a lot of space and I am always afraid I am going to drop and break them. But they are very nice looking, with nice eco-friendly looking labels. Wild Peach Pore Water (pH 5.5 ~ 6) The Wild Peach Pore line is designed for oily skin and pore treatment. 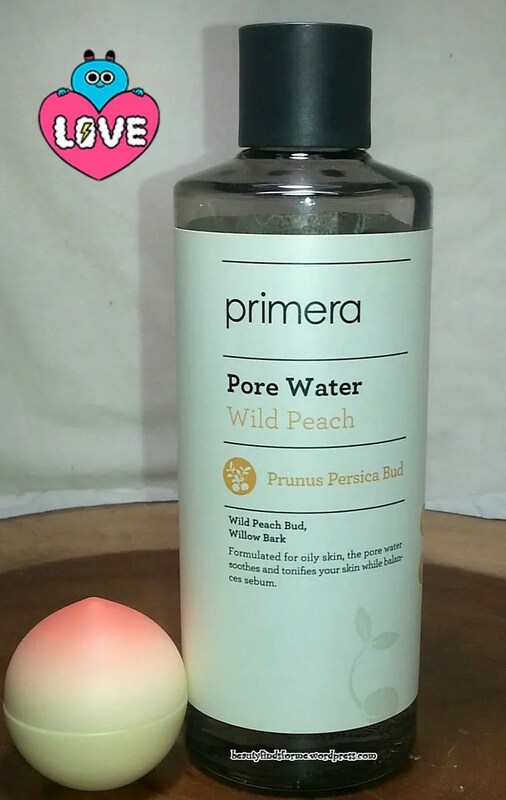 I would not recommend the Wild Peach Pore line to those with dry skin and this item does contain alcohol as its 2nd ingredient ~ but it doesn’t smell like alcohol at all. This is a clarifying toner that is supposed to soothe your skin and prep it for absorption for subsequent skincare steps. This has a herbaceous scent, so do not expect peaches! 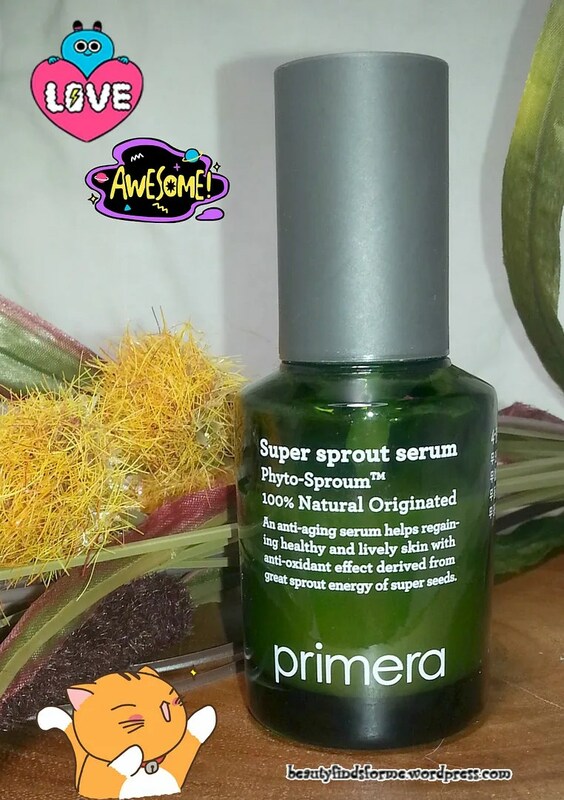 These are the sprouts and I will say all of the primera products in this review smell herbal ~ and it is a really beautiful scent. 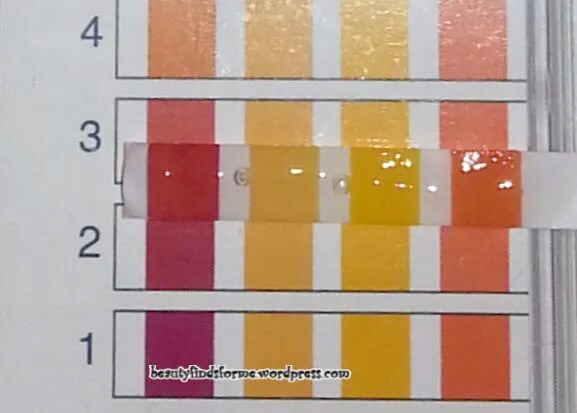 I used this as my first step after cleansing in my morning and nightly routine. This toner is very refreshing on my face, due to the lavender extract. This also contains willow bark extract, which is a natural salicylic acid (beta hydroxy acid) and will help exfoliate dead skin cells, even skin texture and is an anti-inflammatory compound. Willow bark extract thoroughly cleanses the skin and evens skin texture. This toner is not drying on my face and it feels clean, without a tight, stripped feeling. This product did clean my pores and “tighten” them temporarily ~ no product will shrink your pores, all they can do is tighten them for a little while and reduce the appearance of larger pores. I did a pH test on this toner and it is a decent 5.5 to 6 level. 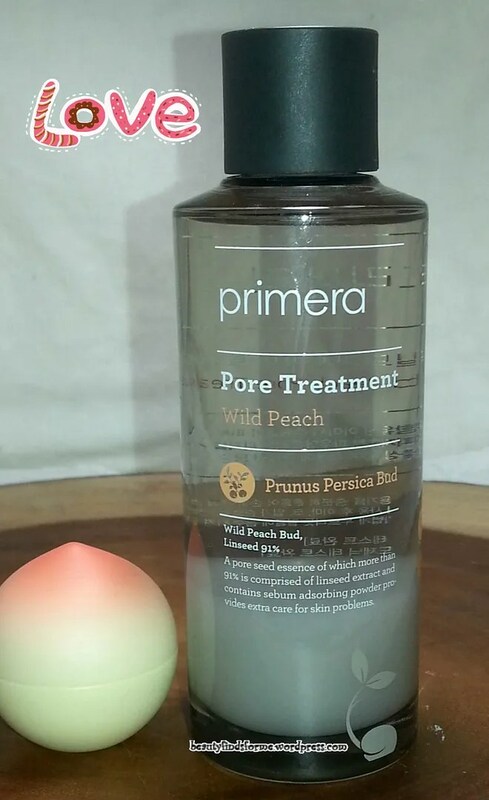 Wild Peach Pore Treatment (pH 7) This huge bottle was not part of the original line up ~ but I had received a small 5 mL sample of this product. This item is a fairly new product, as primera launched it on March 2015. This is a treatment serum that you apply to your “troubled” (aka blemish-prone) areas and it will help reduce swelling, redness and heal your blemishes. I loved the 5 mL version so much that I decided to hunt it down and get the full sized bottle. Since I only use this as a spot treatment, this will last me quite a long time! 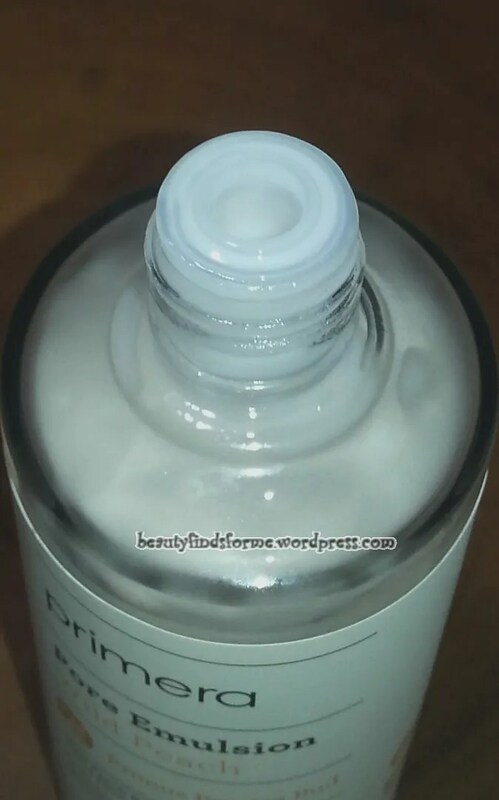 You can see in the photo above that there is a powdery solution at the bottom of the bottle. I believe that is the Silica ingredient, as that will help absorb excess and control oil in your skin and give a matifying effect. This contains 91% linseed (flaxseed) extracts and that ingredient will help reduce the appearance of pores, improve the elasticity and enhance moisture. To use, shake the bottle well to mix the powder with the liquid. I use a cotton pad to apply and just dab it on my skin where I might have excess oil or blemishes. I can see this product getting a lot of use in the summer time. I actually like this better than cosRX BHA Returning A-Sol, which is a fine product, but the funky scent is a major turnoff. This has an herbal scent that is pleasant. Contains ‘Phyto-SproumTM’ which produces 3 different skin changes — revived tone, elasticity, and moisture level — through aging care for skin vulnerable to outside stimulation and time. Super Sprout Serum This was a weak moment purchase and I.AM.SO.HAPPY that I was weak! This is one of my favorite items from the Primera line and I was worried that it would be too heavy for my skin. Nope, it is just right. I love this serum, from the green glass bottle, to the herbaceous scent and how silky smooth it feels when I apply it to my skin. It absorbs rapidly so sometimes I mix a little Tosowoong Sparkling Propolis Ampoule in there for those colder days, which in Boston has officially begun ~ I am now a mixalogist ~ haha ~ I actually purchased my Tosowoong back in the wonderful international Memebox days *sobs* and these babies were on sale for $9.99 ~ I got two of them, so I do need to use them up. This serum is free of artificial fragrance, synthetic colorants, animal ingredients and mineral oil, and is dermatologist tested and has a dual function for whitening and wrinkle correction. It is housed in a beautiful forest green colored glass bottle and has a pump applicator. One or two pumps of this serum is all I need daily. I guess this won some awards in Korea ~ 2014 Powder Room Hit Item and Beauty+’s Choice. This product is an anti-aging serum which is packed with anti-oxidants made from the sprouts of “super seeds”, which is the famous black seed trio of black rice sprouts, black soybean sprouts and black sesame, which will help even out skin tone, fortifies your skin barrier, moisturizes and brightens your skin tone. This also contains rheum undulatum, which is part of the rhubarb family and that extract contains a compound called rhaponticin. According to primera, rhaponticin will help reduce melanin production (melanin is what produces our skin color and for many people, age spots and hyper-pigmentation) and will help amplify brightening effects to your skin tone. This is a tan-ish color serum and again, it has that herbaceous scent to it. It does absorb nicely into my skin, and does not leave a sticky or tacky feeling behind. This is an improvement of about 12% in moisture level. Daily bouts with pollution and various outside irritations cause stress on the skin. They irritate the skin and weaken its functionality. 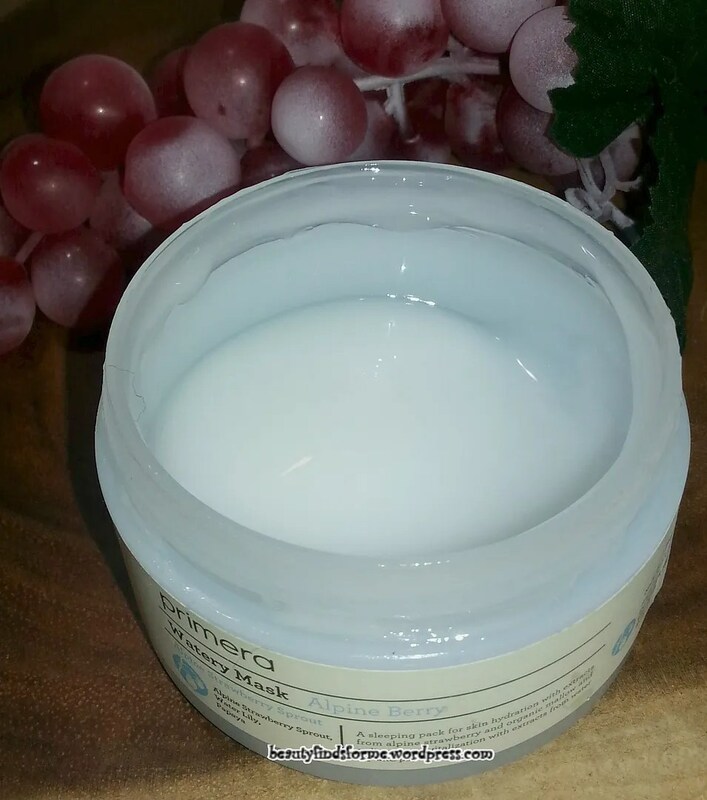 As a result, the skin becomes dry and bloats easily and loses vitality. 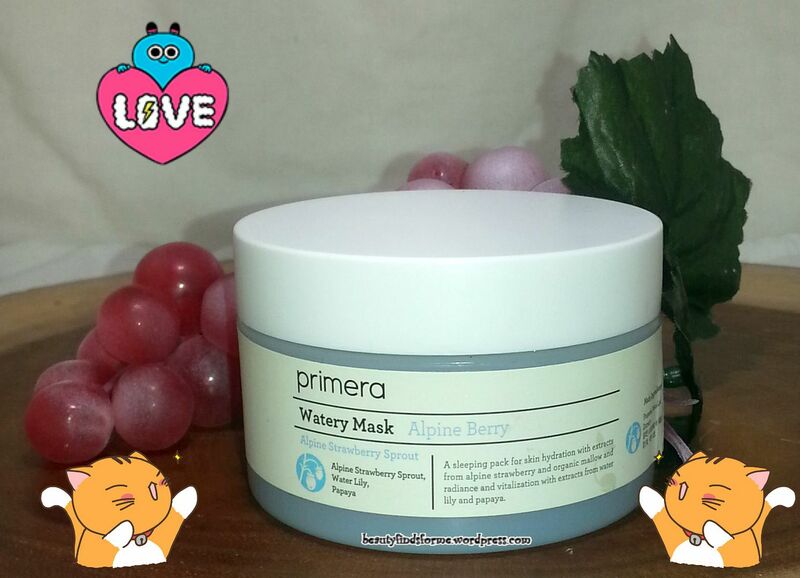 The primera Watery Line contains alpine strawberry, which boasts strong vitality growing in the highlands, and extract from mallow, which maintains skin moisture, to keep the skin moisturized and fully vitalized. It is much less than what the initial reading ~ about 20 minutes after application ~ had and it is less than the “Before”, but considering that I am tossing and turning while I sleep, smushing my face into a pillow and rubbing off the product, as well as the heat turned on, I am still really happy with that result. I do not have any breakouts or rashes with this product ~ just baby soft skin that looks refreshed and brighter. This is also has a refreshing and cooling sensation, which I attribute to the mint ingredient. This does have alcohol in it, but it doesn’t smell like alcohol nor does it dry out my skin. Sometimes, alcohol is not that “bad” as it “can help increase penetration of key ingredients. Some alcohols also act as slip agents, emollients, and/or hydrators.” (source) I would like to believe that the primera chemists know what they are doing here and I do believe this product to be well formulated. I highly recommend that people read on futurederm.com to see the other side of the story. It should be towards what works for you ~ for some people, that HG ingredient will cause others to suffer horribly. Always test your new products on a small patch of skin to see if you will have a reaction to it before putting on your face. Alpine Strawberry Sprouts These grow in Northern Europe and North America and they are pretty hardy plants, as they can bud in the highlands, where it is cold and barren. Alpine Strawberry is full of Vitamin C, which is a powerful antioxidant, helping to brighten and combat free radicals, reducing hyper-pigmentation and fine lines and wrinkles. Malva Sylvestris (common mallow) is a tall flowering plant and it helps keep the moisture in your skin for extended periods of time. Papaya contains an enzyme called peptin, which is a natural exfoliator, making your skin smooth, vibrant and healthy. Peptin cures a variety of skin issues, such as acne, dry skin and premature again. Papaya also is an antioxidant, as it has Vitamins A, C and E along with carotenoids, helping to reduce inflammation of your skin, as well as nourishing it. Lotus Flower is a skin purifier, helping to brighten dull skin that is caused by both internal and external stresses and toxins. Traces of sebum, makeup residue, and pollutants that cause skin trouble typically remain on the skin. Pollutants can cause inflammation and other skin problems, hastening skin aging. 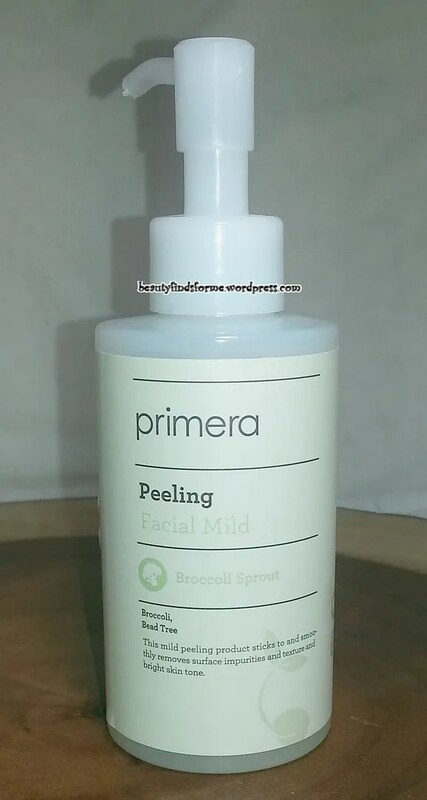 primera is a line of mild cleansing products that smoothly and thoroughly remove impurities from the skin, leaving your skin complexion bright and your skin completely clean and clear. It is a peeling gel and it has the same wonderful herbal scent that the other products have. That said, I would have rather received the pore clay mask, as it takes me forever to use a peeling bottle! This has broccoli extracts, which contains glucoraphanin, a phytonutrient, which has been reported in reversing sun damage on your skin. Another featured ingredient is from Melia Azedarach (bead tree or what I know as the neem tree) and that is an anti-bacterial, anti-septic, anti-fungal, anti-inflammatory product. It has been used for centuries in India as part of an herbal beauty routine ~ it contains emollients, controls acne and provides anti-aging properties due to its high concentration of antioxidants, keeping your skin healthy and soft. 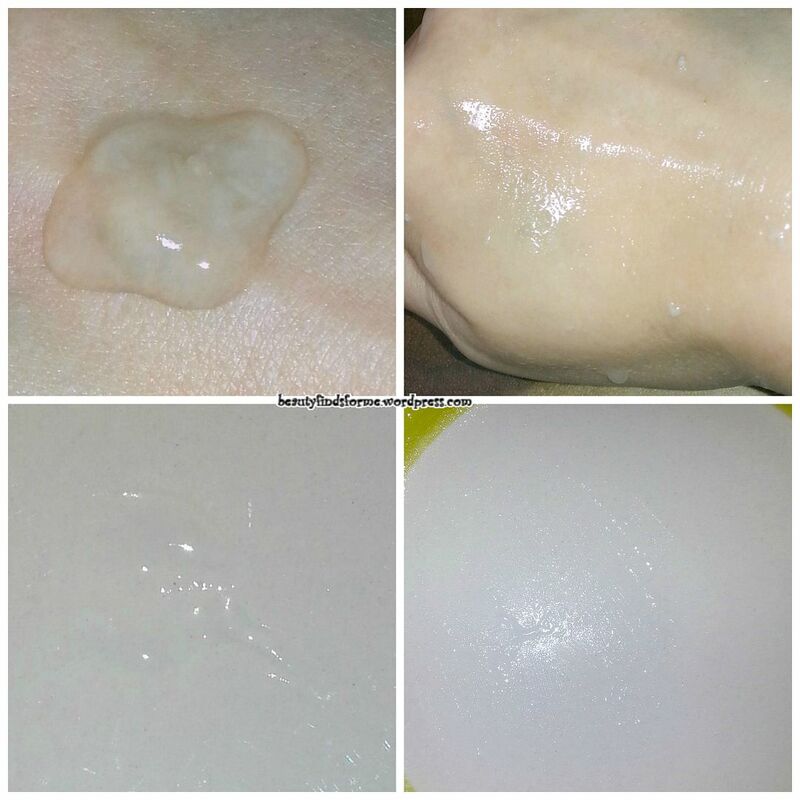 This is a clear gel when applied initially to my skin and as I massage it into my skin, it does roll up and form those oil-dirt balls ~ It also turns watery so that any of the product that didn’t trap the oil and dirt to form into clumps will just drip right off your skin! You can see it the upper right photo, near the bottom of my hand. My skin moisture level increased by 12% after using this product. This is an exfoliator product as it is described as such ~ it will stick to the dead skin cells, excess oil and dirt and lift it away. 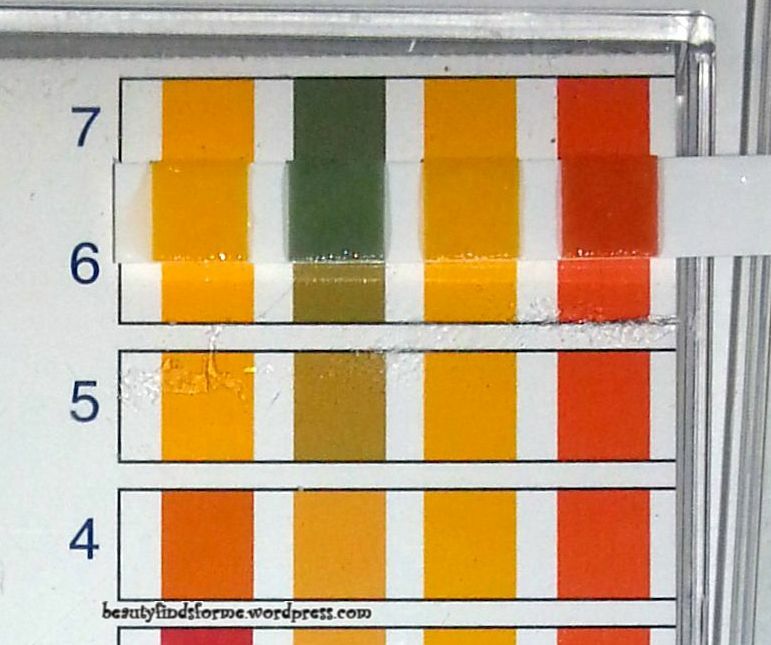 Its pH level looks to be a 2.5 to 3, so it is on the acidic side of the spectrum. I do not see any traditional AHA or BHA in this product, so I am wondering if the citrus oils or some of the other extracts are causing this to be an exfoliator ~ perhaps the neem extract? Anyone who might know why this is an exfoliating product without the traditional ingredients would be greatly appreciated. I have to say, after using primera products for almost 2 months, I am very happy with their performance. I totally LOVE and adore their Super Sprout Serum and Alpine Watery Mask, and their Wild Peach Pore Water and Wild Peach Pore Treatment are also favorites. This brand might be more expensive, but I also noticed how long they last ~ I barely have made a dent in all of the products except the sleep pack and I still have 1/2 a jar of that left. I am surprised that there isn’t more traction with this brand, as it really is a lovely herbal experience! Maybe it is more popular in Korea? They’ve won some awards there, so that could be it ~ I read that Ciracle is more popular in Korea than cosRX and here in the West, it is the other way around. I really enjoyed using these products ~ my face was visibly more smooth, hydrated and I did not experience any breakouts ~ except for that long lasting blemish on my chin from the 23 years product. Did they brighten my skin tone? Lighten previous dark spots? Yes to the former, couldn’t really tell to the latter. I will say that I didn’t experience any new hyper-pigmentation while using this. I love the scent of these products and I want to buy more of them!! I do have to reign in my purchases, however ~ I have so much products already on my upcoming testing schedule, but I will be using these items until they are gone. I will want to repurchase the serum and mask, but only when I run out and have made a dent in my current serums and sleep masks Such is the life of a beauty blogger! If you are new to Memebox, you use my referral link here and get 20% off your first order of $25.00 or more. Time to brush off my writing skills and start an email campaign to get more primera products back at Memebox! Hooboy. Looks like I need that serum and the peeling gel and the sleeping pack too. But SERIOUSLY. What is it with companies putting emulsions in glass bottles? It’s infuriating trying to get products of that texture to pour! I’ve used small paint brushes for a few years now and they work really well. I still had one sitting near the sink after I had rinsed it out from a craft project one day and just grabbed in a frustrated moment. But recently someone was telling me about a new thing they saw on TV. Spatty Patty. It’s like a tiny rubber scrapper for your cosmetics. Looks intriguing. Those are my two favs in the Primera line too! oh, I love Primera!! I’ve tried out a lot of their products now – they are part of the AmorePacific family (Innisfree, Etude House, IOPE, Sulwhasoo, Mamonde, Hanyul and illi – just to name a few). You will enjoy this brand!